Last Thursday (31 January) the Keltie offices at 1 London Bridge played host to Newable Private Investing’s first investor showcase event of 2019. With a focus on automation and electronics, six innovative early-stage companies had eight minutes each to convince the investors in the room of why they deserved their investment. The characteristic NPI spirit was clear in the room, with the seriousness of the task at hand tempered by the relaxed atmosphere fostered by the closeness of the angel network built up over previous events and investments. Henry Whorwood, Head of Research at Beauhurst, got proceedings underway with a presentation of the firm’s latest findings relating to the state of UK angel investment. Overall the outlook remains positive despite the ongoing uncertainty caused by Brexit, with the UK experiencing record levels of funding underpinned by tax incentives and other government initiatives. You will be able to read about these findings in a report commissioned by Newable that will be released soon. The fact that the startup ecosystem continues to thrive was clearly demonstrated by the calibre of companies on show. Ranging from EcoSync, which is increasing CO2 efficiency in buildings to Snap Tech, that facilitates image search-led ecommerce, all participants in the showcase operate at the cutting edge of their respective industries. Grakn, for example, is building a whole new system for databases to function on, allowing them to be even more efficient when using AI and machine learning systems. Then there was Learnerbly, creating a professional development platform that enables workers to upskill themselves for the economy of the future. Kokoon is developing the world’s first noise-cancelling headphones designed specifically to aid sleep. Using machine learning, the accompanying app will identify the right sounds from its audio library to create a unique experience tailored to each user. Finally, 8Power is connecting industrial machines to the Internet of Things, with the potential to extend equipment’s useful life by spotting deficiencies at an early stage. No matter who was presenting, you could see that they all had the potential to become major industry disruptors if given the right support. The evening was concluded by networking between the investors and entrepreneurs over some drinks, before one lucky attendee won a bottle of Moët. Following this event, NPI has started to introduce the companies to interested investors and will work closely with both sides to arrange formal one to ones and facilitate the syndicate process using Newable’s office space and expertise. 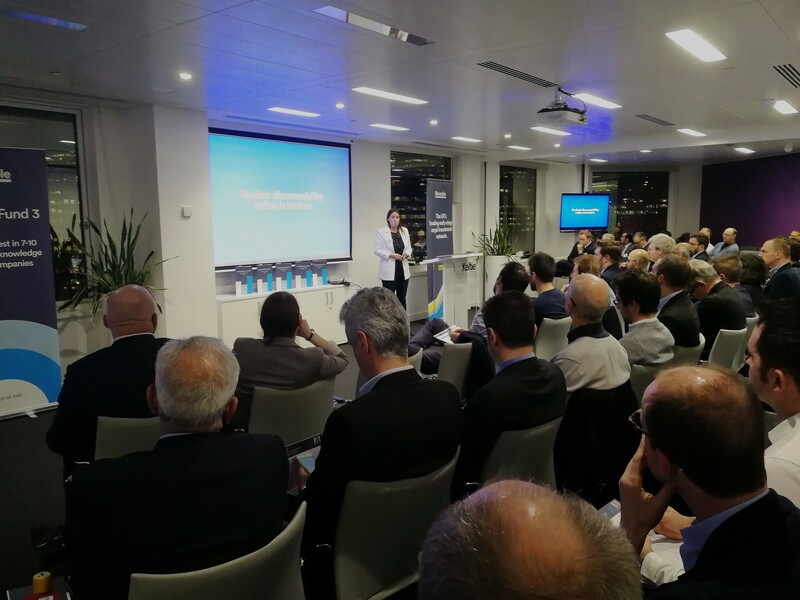 After an exciting start to NPI’s 2019 showcase series, we are looking forward to the next event on 27 February, which features Angels in MedCity’s 11th entrepreneur pitching event. Register to attend today!